The United Nations has said Bangladesh's real GDP (Gross Domestic Product) growth is expected to reach 7.3 per cent this fiscal year. 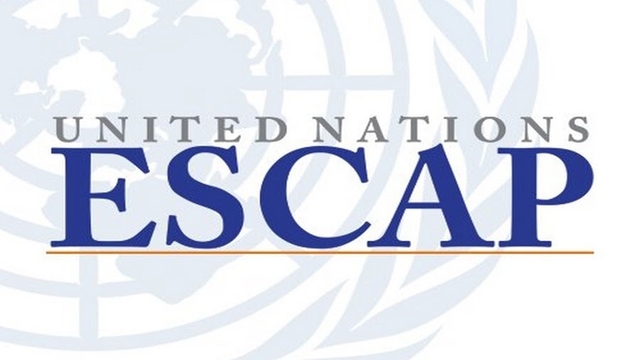 The forecast came in the latest report of the Bangkok-based Economic and Social Commission for Asia and the Pacific (ESCAP) released Thursday. This is nearly 1.0 percentage point lower than the government's estimates of 8.13 per cent for the fiscal year 2018-19. But this is exactly the same as the World Bank's projection of 7.3 per cent. The UN agency, however, said the rate of inflation is projected to increase slightly this year. The inflation rate may reach 6.1 per cent at the end of fiscal year, up by 0.5 percentage point from the government's projection of 5.6 per cent for the fiscal year 2018-19. The report said higher global oil prices and rising food prices propel the inflation in Bangladesh. The report said the region's medium-to-long term prospects depend on the structural transformation and broad-based productivity growth. The report cautions against countries shifting from an agriculture-based economy to one in which services play a dominant role, bypassing the manufacturing sector. New frontier technologies may reduce the scope for industrialisation in "late entrant" developing countries, while high value-added services require skilled workers. This calls for investment in people and enabling infrastructure, the survey suggests. The report points out that achieving Sustainable Development Goals by 2030 would require an annual additional investment of $1.5 trillion for the Asia-Pacific developing countries - equivalent to 5.0 per cent of their combined GDP in 2018. Despite rapid economic growth, the report notes many people are left behind, without a fair chance in life, while the environmental degradation has reached alarmingly, threatening the sustainability of past development gains. Keeping the old paradigm of prioritising GDP growth at all costs is neither feasible nor desirable, the report argues. There is a need for ensuring fiscal space to help enhance competitiveness and diversification, ensuring smooth graduation from the least developed country status (such as in Bangladesh and Bhutan) and building resilience to natural disasters. The Asia-Pacific region too has seen tremendous economic and social progress over the last 50 years, as average income levels more than tripled and life expectancy at birth increased from 46 to 75 years. Around 1.1 billion people have left poverty since 1990. However, economic prosperity has not always increased broader human well-being. Rather, it has come at a massive social and environmental cost: income inequality has increased since 1990 - the top 10 per cent of people accounted for more than half of income and wealth in 2017. Greenhouse gas emissions have increased six-fold, from 0.9 to 5.8 tonnes per head. The region is home to five of the world's 10 economies most affected by climate change in the past 10 years, including Bangladesh, Nepal, and Sri Lanka.